Go Back to the Future with a Black Friday or Cyber Monday deal on a hoverboard in 2018. Although these self-balancing scooters don’t levitate like Marty McFly did in the popular sequel, they are becoming a popular toy again and we expect could be a popular Christmas gift again. 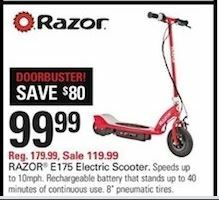 We will be browsing all of the online and print ads for Black Friday and Cyber Monday and then are posting the biggest discounts on hoverboards and electric scooters here at Funtober. Kohls is offering a Jetson hoverboard with Bluetooth and Jetson Ride Ready app download as a doorbuster in 2017. Regularly priced at $299.99, it will be selling for only $219.99 plus buyers get $60 in Kohl’s cash. Find the Jetson hoverboard at Kohl’s here. 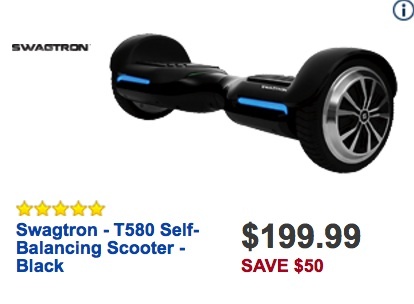 Find the Swagtron T580 hoverboard at Best Buy here. 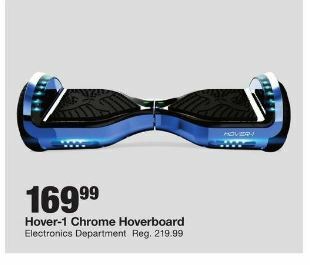 Find Jetson hoverboards at Target here. 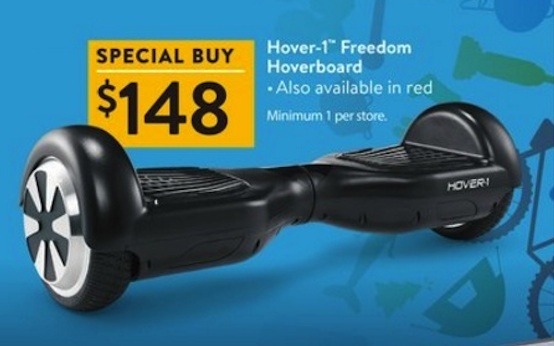 Find the Hover-1 Hoverboards at Walmart here. Hoverboards were a hot item for Christmas 2015. But then the self-balancing scooters started caching fire. Many airlines banned them, the USPS stopped taking shipments of them by air, and Amazon temporarily suspended sales. The Consumer Products Safety Commission in July 2016 reported that there were at least 60 fires resulting in over $2 million in property damage. 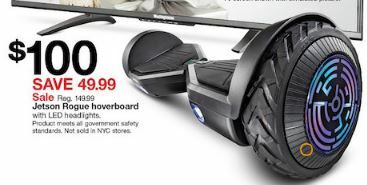 These hoverboards were recalled due to overheating lithium ion batteries. They are now back on Amazon and we are already starting to see hoverboard Black Friday deals again. 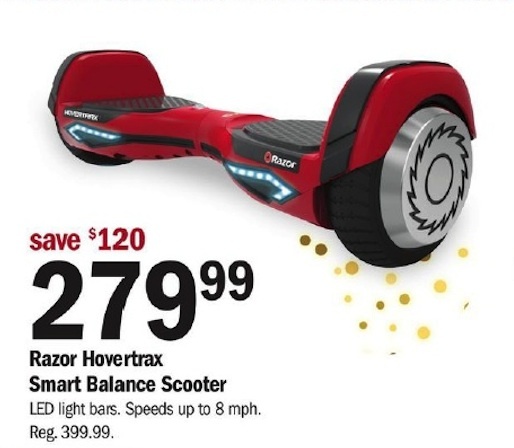 Last year, Walmart offered a Hovertrax 2.0 Hoverboard for only $273 ($125 in savings from regular price of $398). 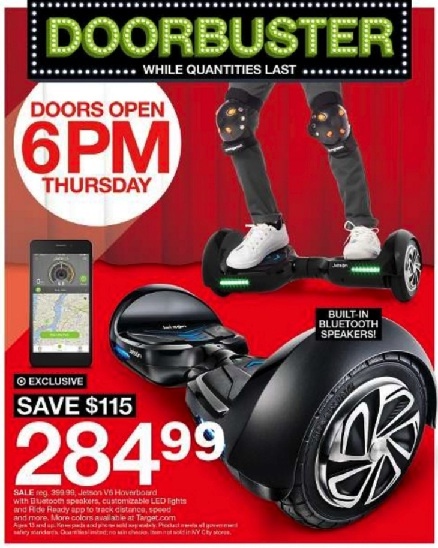 Target in 2016 offered a Jetson V6 Hoverboard with built-in Bluetooth speakers, customizable LED lights, and Ride Ready app to track distance and speed for $284.99 (savings of $115! ).